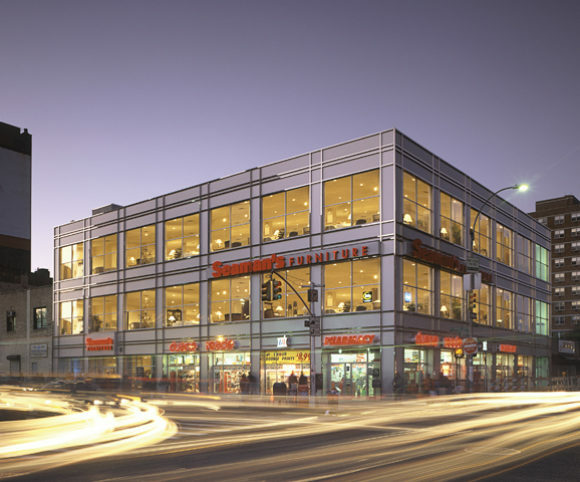 The new 40,000 sq ft mixed-use building at 125th Street and Lexington Avenue is completed. The building’s exterior wall system features low-E insulated glazing, silver painted metal panels, and polished stainless steel. 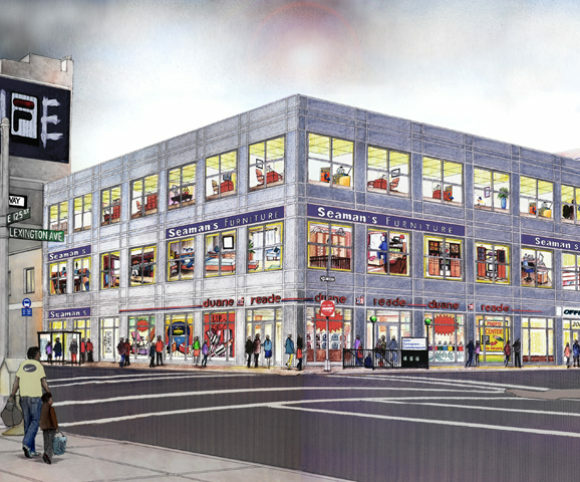 A key component of the revitalization of East 125th Street, the project serves as an anchor for new retail development in the area, and has already been leased to two national retailers. The project, built on a fast track, had the added complexity of being adjacent to a major subway stop. The building was awarded as a result of a competition sponsored by the NYC Economic Development Administration.